Today was our intern’s last day at work. What better excuse for a celebratory lunch outside the office?! 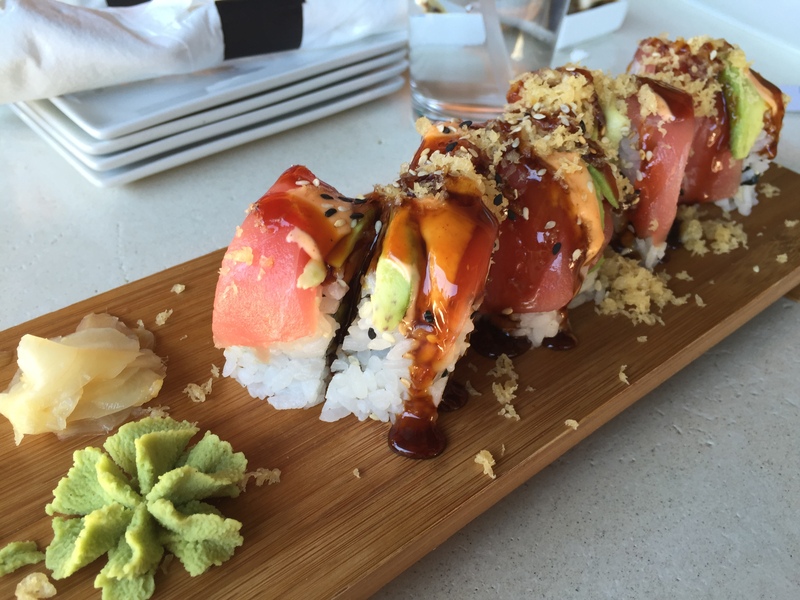 The cuisine of choice was sushi, so since my last meal there was so great, I recommended Kamiko Sushi. 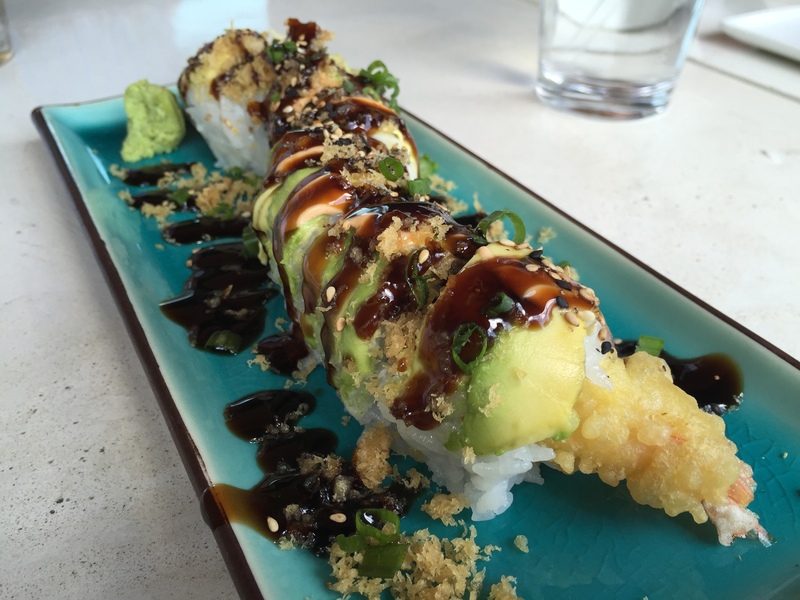 Plus, Kamiko has a decent lunch specials menu, which I had all good intentions to order from… until about 30 seconds before I actually placed my order. You know how that is when you have a lot of choices. My proclivity for culinary adventure — come on, you shouldn’t be surprised by this point — led me to order the Octopus Causa instead. Octopus ceviche atop yellow potatoes and avocado. I’d never had octopus ceviche or causa (yellow potatoes) before, so couldn’t wait! 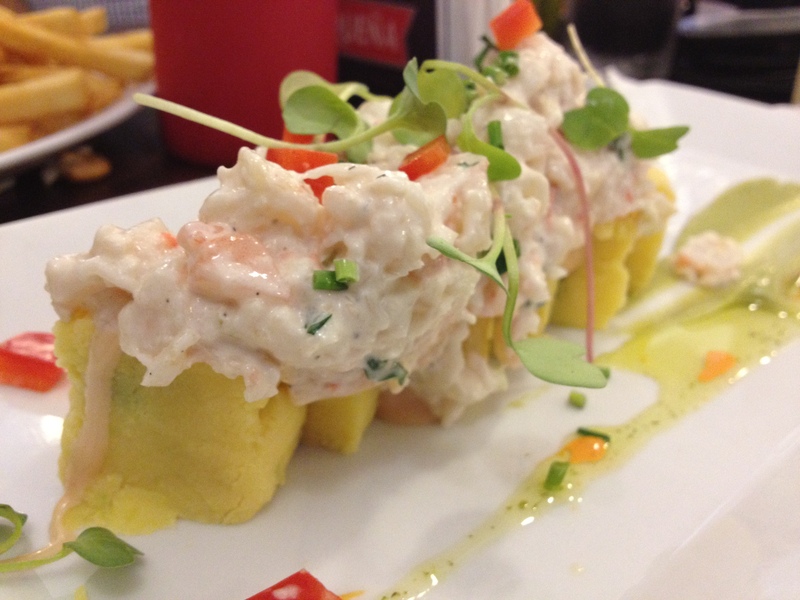 Fun fact: Causa has Peruvian roots. It’s a seasoned mashed (yellow) potato terrine — and in this case, layered with avocado. Additionally, aji amarillo (yellow chili pepper) is typically added to the potatoes to give them an even more intense yellow tint. The spice is also supposed to give the potatoes a bit of a kick, but I am fairly certain I didn’t taste anything spicy in the Causa I ordered.